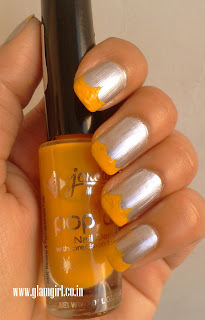 I tried this nail art with my new Jordana nail art pen. Creating this nail art is absolutely simple. First, wear a silver shiny nail color and when it dries, color the top of nail with yellow as shown in the picture. Today I am also reviewing Jordana nail art pen. 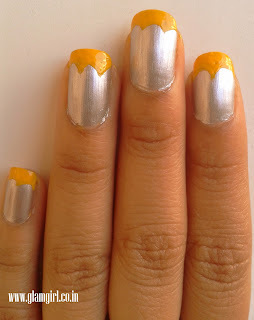 I really had to work hard to create this simple nail art with this pen. 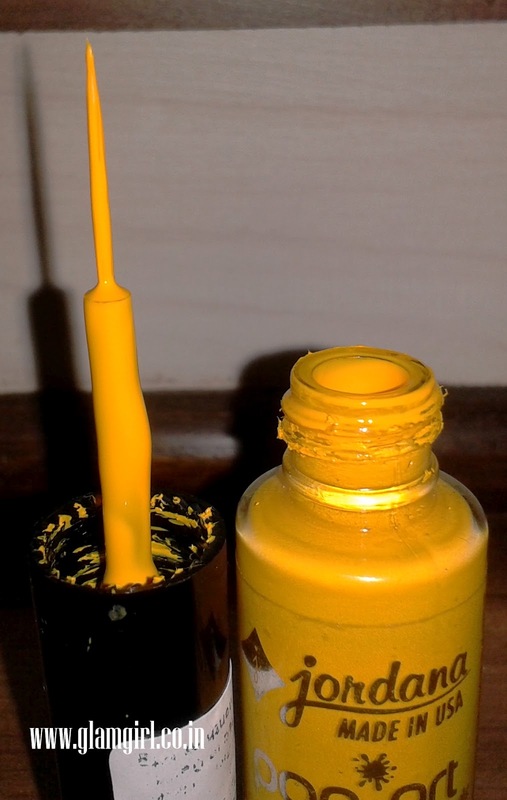 It has a thin brush which doesn’t hold much color and if you try take more it drops down … may be on your cloths or nails, will ruin something for sure. It dries fast, this is the only good thing about it. It is good to make straight lines but not curvaceous designs.